Action Modular Origami to intrigue and delight is now available from Tarquin Group. You can buy it direct from the publisher or other retailers like Amazon. Here are a few additions to Further Reading, either due to a lack of space or subsequent discovery of new information. Heinz Strobl’s Surprise! is in the BOS Convention 2008 Autumn Convention Pack. This is a simple, fun, elegant and efficient model. Thoki Yenn created two versions of Flip Flop: two-piece and one-piece. The inspiration is said to be from Mathematical Curiosities by Gerald Jenkins and Anne Wild. Dave Brill has diagrams for several of his origami toys and working origami such as Brillik Cubes, i-Squash-ahedron and Unstabile. Burrows, Roger (2018) 3D Thinking in Design and Architecture: From Antiquity to the Future. Thames & Hudson. Chapter 11, Shape Changers (p. 236-263), describes structures of flexibly connected poylgons. It starts with some classic flexagons and then shows structures similar to the Petrie-Coxeter Honeycomb, Flip-Flop and Miura Map Fold. A short paper about action modular origami for is available here. This was presented at the 2018 Bridges conference of Mathematics, Art, Music, Architecture, Education and Culture, The National Museum of Science and Technology (Tekniska museet), Stockholm, Sweden. 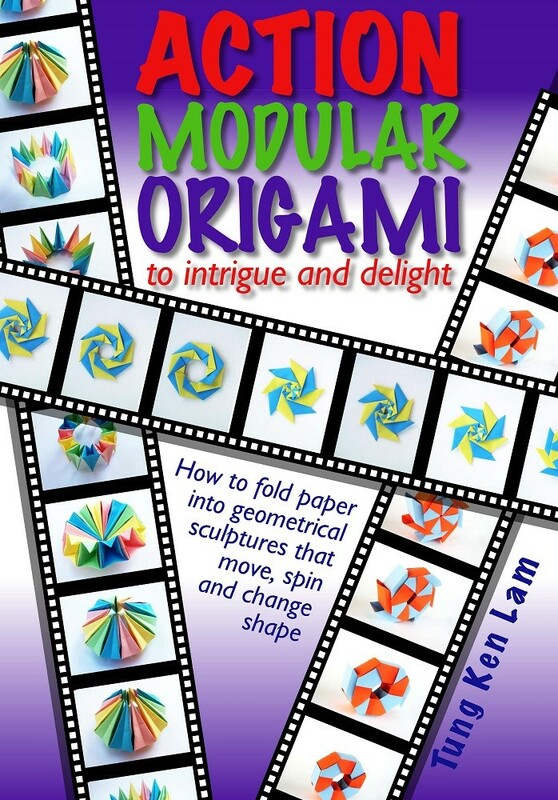 It discusses the art, craft, engineering and mathematics of action modular origami.